Power tools and push bikes were among the items targeted by thieves in the week to Thursday September 24 in Hucknall. A specialised Crosstrail sport disc bike was stolen from Hucknall Leisure Centre, on Linby Road, some time between 4pm and 4.15pm on Wednesday September 23. The bike is grey-coloured with an unusual silver crank on the pedals. Thieves forced the padlock on a shed and stole a push bike and power tools. The raid happened between 11pm on Monday September 21 and 7.15am the next morning in Brookside. Power tools were also stolen from a locked van on Lawns Road, some time between 11pm on Tuesday September 22 and 7.20am the next day. Between 8pm on Friday September 18 and 8.15am the next day the window of a grey Chevrolet was smashed and a SatNav was stolen while it was parked at Hazelgrove Nursing Home, on Farleys Lane. 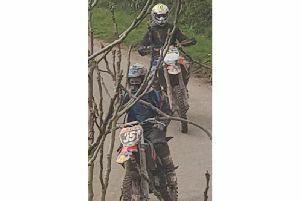 The number plates of a grey Vauxhall Astra were stolen whilst the car was parked on a driveway in Polperro Way, some time between 5am on Saturday September 12 and 5am the following Friday.